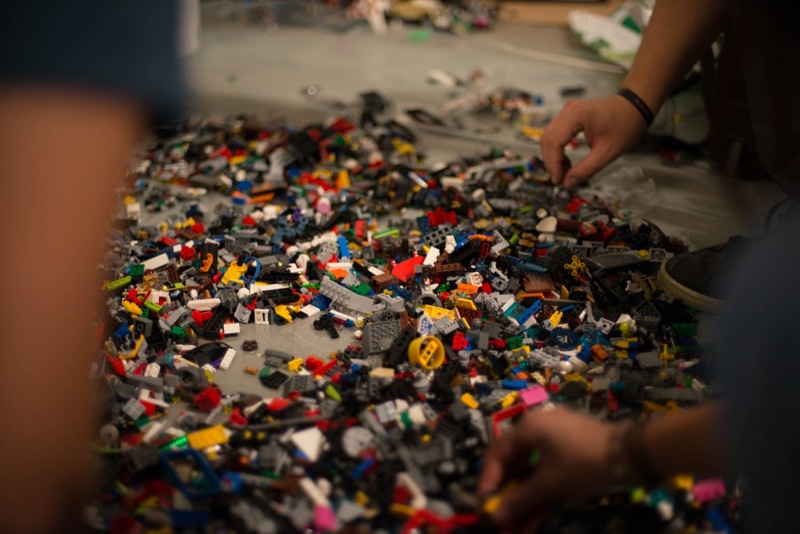 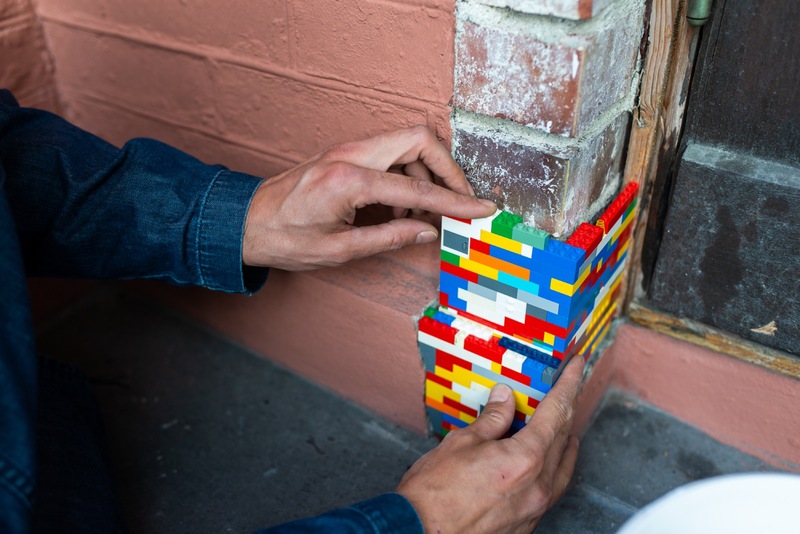 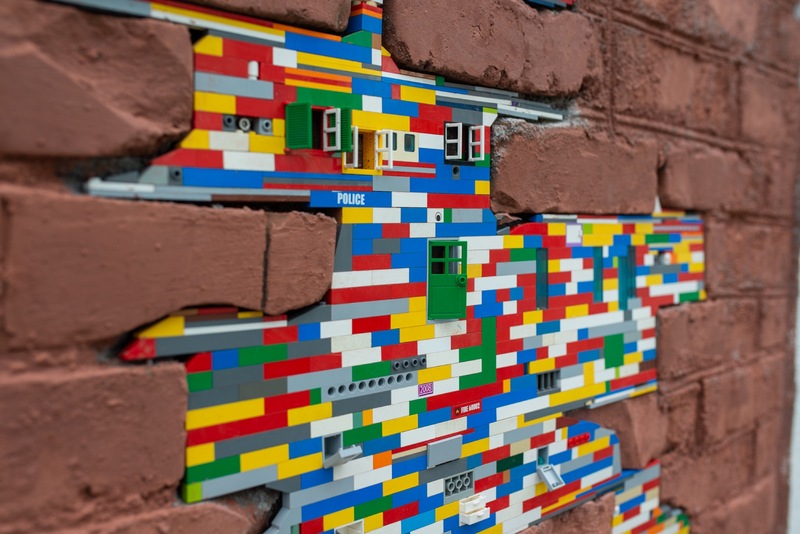 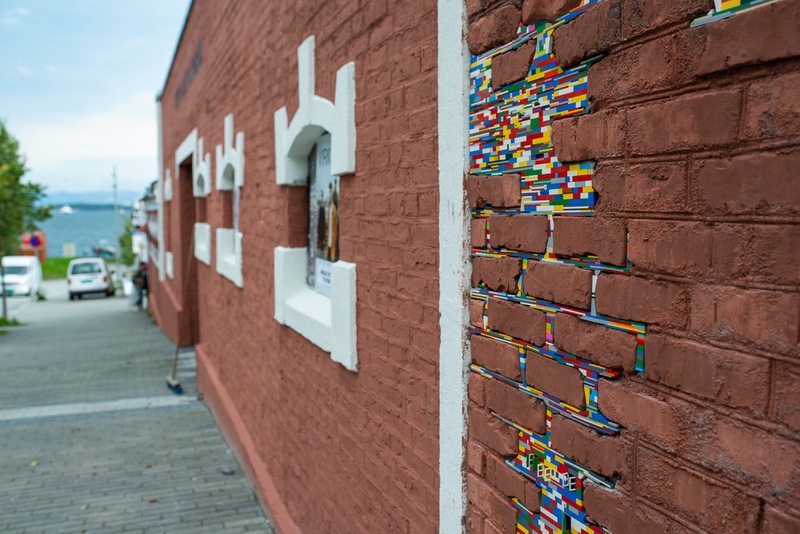 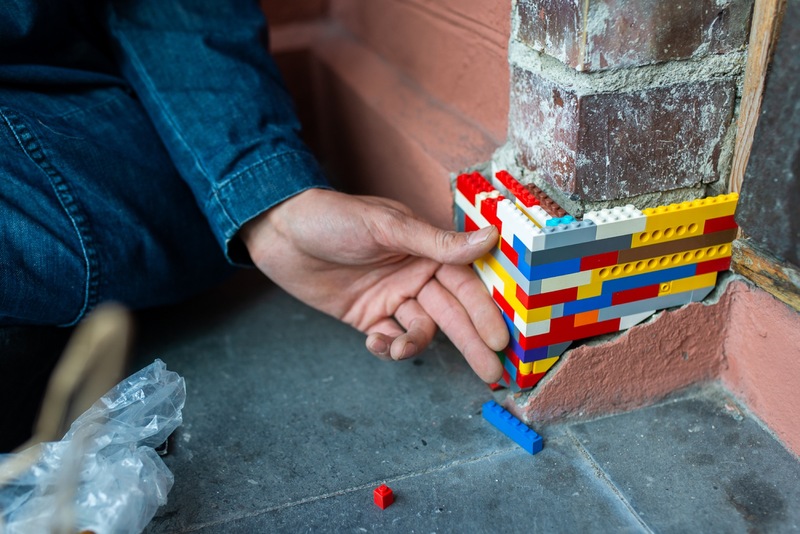 Jan Vormann’s global Dispatchwork project uses LEGO bricks to repair damaged walls. 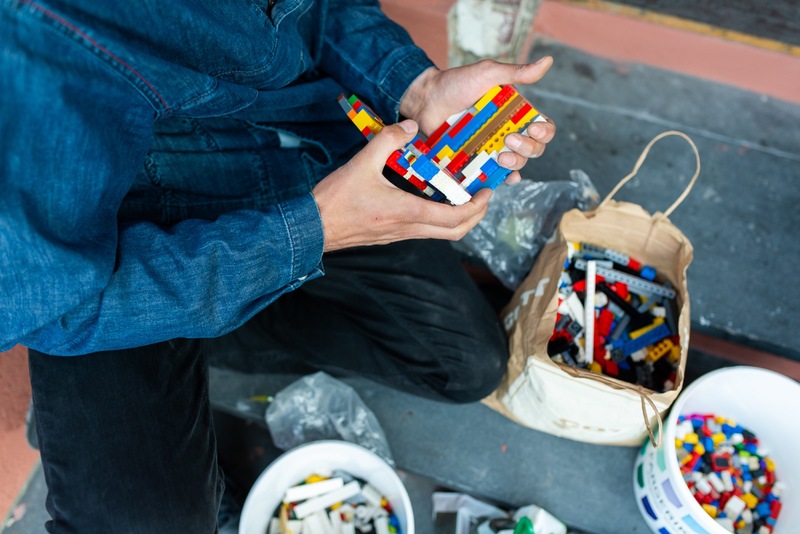 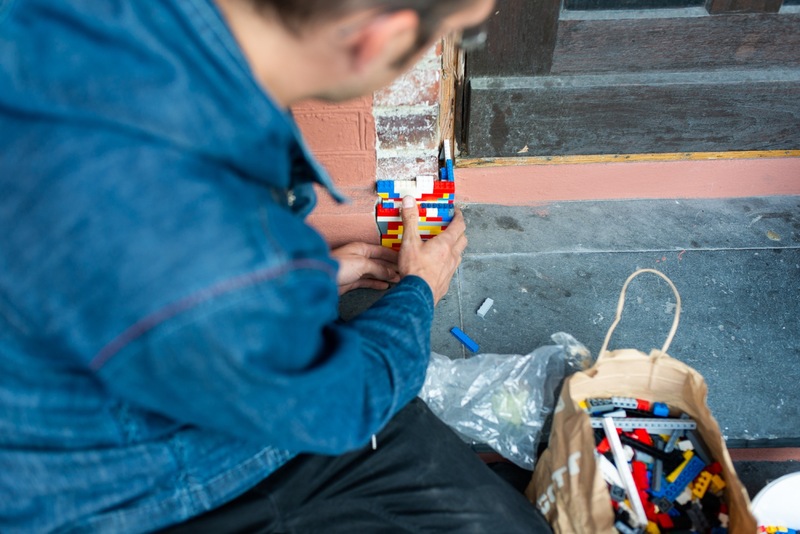 Some of his installations use only a handful of toy bricks but in Stavanger Jan and a team of helpers sifted through over 50kg to make an installation near Nuart´s spiritual home Tou Scene. 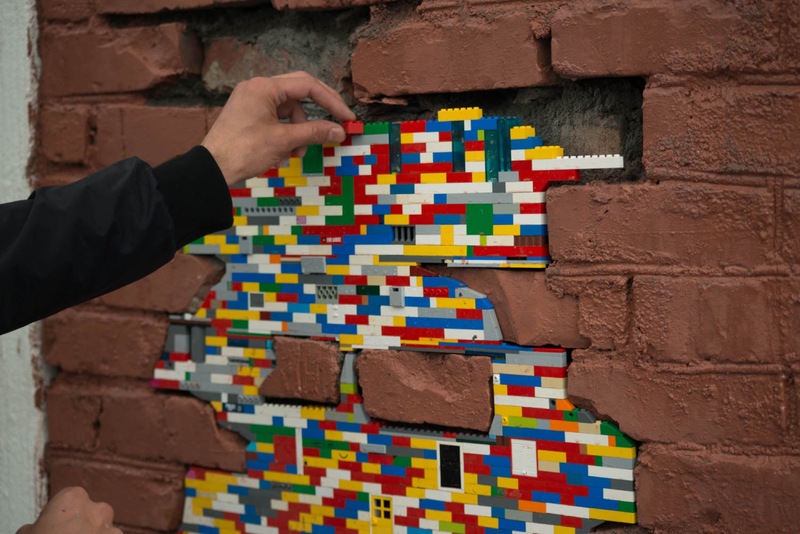 Vormann describes the project as “a forum to further develop, piece by piece, a global game together”, one that encourages citizens to take back public space and leave their mark in a playful way…”as long as you don’t mind when the structures slowly ‘dissolve’ or ‘disappear’ back into children’s toyboxes”, he says. 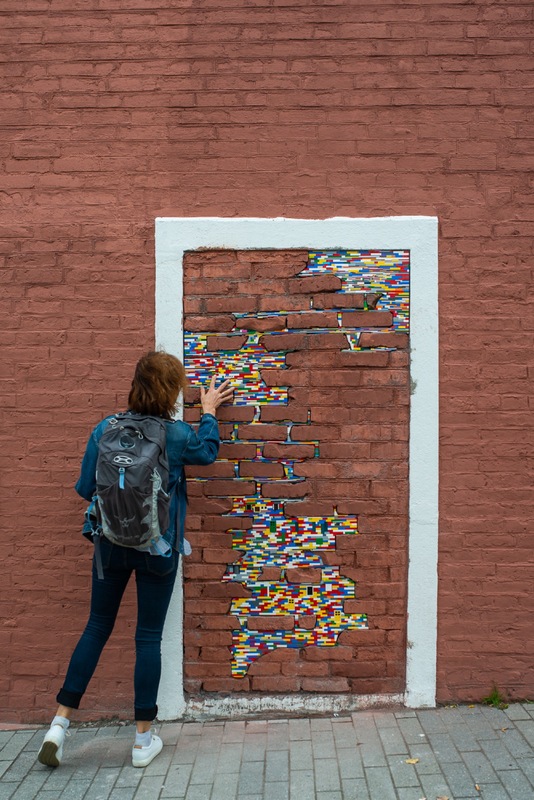 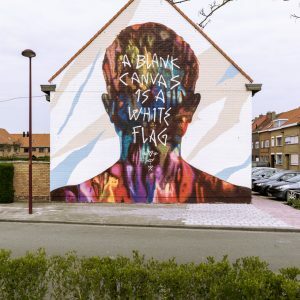 The collaborative and playful nature of the project was evident in Stavanger as volunteers and passers-by all got involved in making the largest installation, which took 3 days to complete. 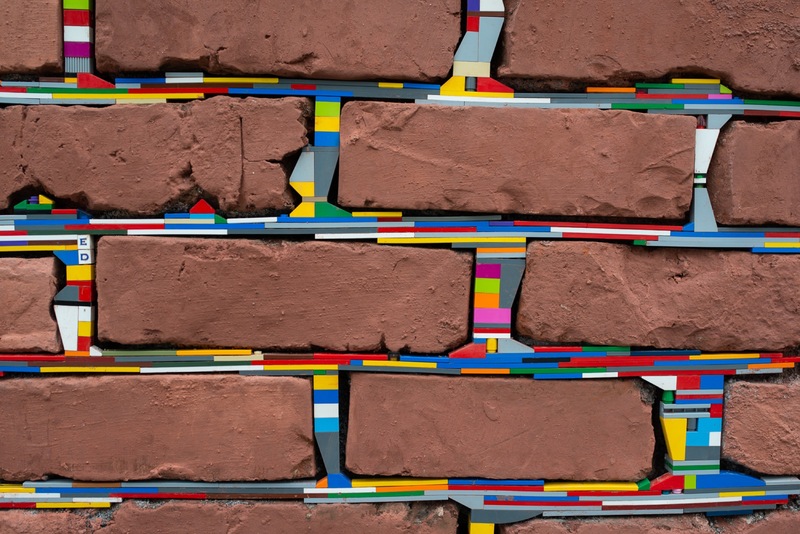 Next week, Vormann heads to Italy to present a new Dispatchwork at the Venice Architecture Biennal in collaboration with the French Pavillion. 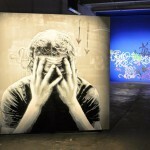 In his own words, his participation in Nuart was all about stocking up on “street cred” before the prestigious event. 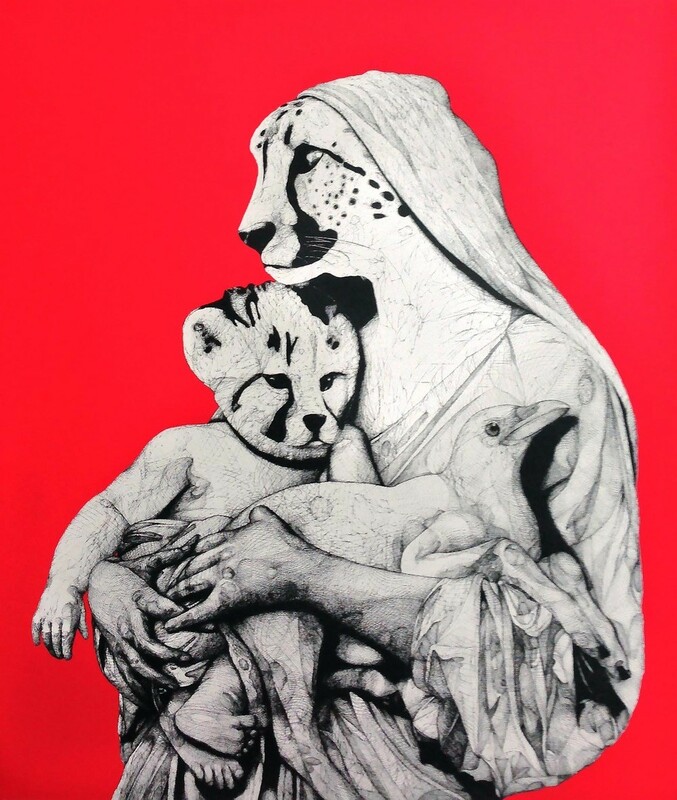 Born in 1983 in Bamberg, Germany, after initial studies in Art History and Conservation of Monuments at Otto-Friedrich Universität Bamberg (2003-2004) Vormann changed his field of studies to Visual Arts (Sculpture) at Kunsthochschule Berlin-Weißensee (2004-2011) with the Professors Karin Sander, Inge Mahn and Berndt Wilde. 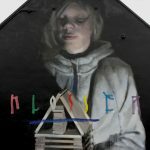 He graduated with Diploma (2010) and Meisterschüler (2011). 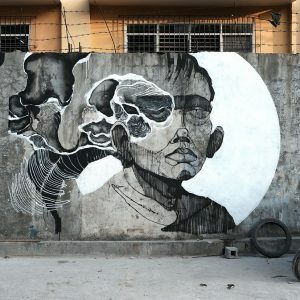 Vormann currently lives in Berlin and works in the T10 Studios. 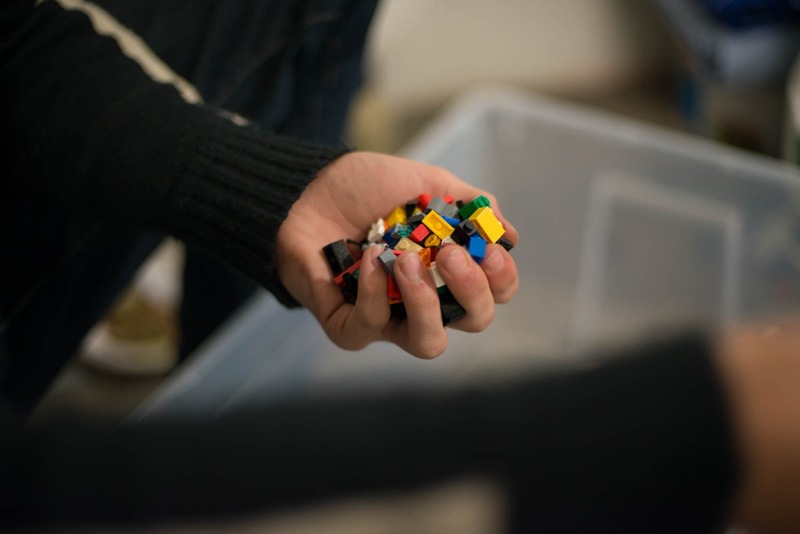 Since 2013, he also teaches in the New Media/Interaction Design department of Berliner Technische Kunsthochschule BTK.